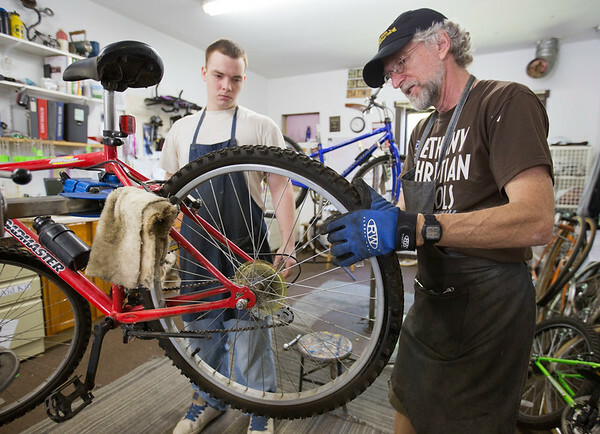 Les Gustafson-Zook, right, shows Matthew Lemons how to true the rear tire on a mountain bike Wednesday morning at Chain Reaction Bicycle Project, 510 East Washington Street. Lemons was at the shop to find a bicycle for himself. The shop allows anyone to work off the price of a bicycle by working in the shop.